We believe that everyone should have the opportunity to take part in fitness and recreation activities and that those opportunities should be accessible and affordable, regardless of one’s financial means. To support this belief and help those in our community that need it most, CGC created a Membership Fee Assistance pilot program for 2018-19 to support 150 individuals/families by covering 50% of their annual membership fees. We are delighted to continue with this program for 2019-20. To qualify for this program, applicants must meet the eligibility requirements and submit a completed application form and proof of income (see details below). If approved, 50% of your annual membership fees will be covered by CGC for 12 months from the start date of annual membership. For more information on our rates and all that a CGC membership has to offer, click here. *A household is all family members living in the same home related by blood, marriage, common-law or adoption. Roommates are considered part of the household and adults are considered persons 18 years and over. Application period is April 2019 – March 2020, or until program is full. Complete the Membership Fee Assistance Application form. Proof of Income: Obtain your most recent Canada Revenue Agency Notice of Assessment for each adult in your household. You can view (and print) your tax return(s) as well as other personal tax information using the CRA’s My Account online service. Please note that T4’s will not be accepted as proof of income and we ask that individuals are honest about their financial situation, so that we may help those most in need. 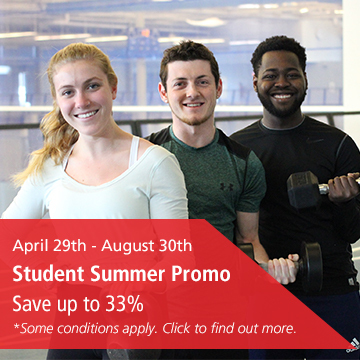 Submit your completed Membership Fee Assistance Application form along with your Notice of Assessment(s) by email to membership@canadagamescentre.ca or drop it off in-person at the CGC Customer Service Desk (26 Thomas Raddall Drive, Halifax) to the attention of the Membership Coordinator. Your application will be assessed within two-to-three weeks from the time it is received. You will be notified of the result by email or telephone, please ensure both your email address and phone number are written clearly on your application. We assess each application individually and in the order in which they are received. Please note that not everyone who applies and qualifies for funding will receive it as funding is limited. How is the Fee Assistance program managed? Applications submitted are reviewed by the CGC Membership Department. If your financial situation changes and you no longer require assistance, please let us know right away by visiting or calling the Customer Service Desk and speaking to a representative. This will enable us to help other individuals/families in need.